If you've been following me on Twitter, you've no doubt seen the feud between me and Banzai Retro Club about Bionic Six. 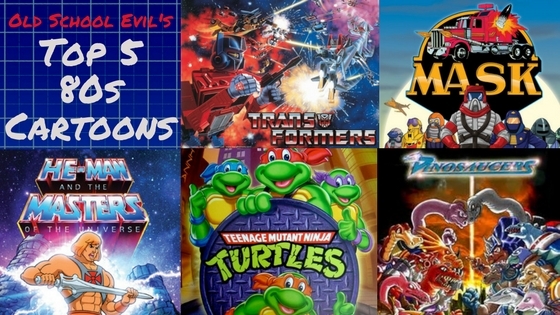 What started out as a discussion on the best theme songs turned into a huge debate, most often comparing the cartoon to MASK. 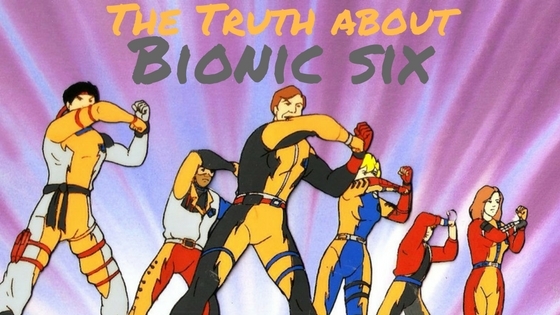 It's been a lot of fun arguing which cartoon is the best, and a lot of other people have out in their two cents and chosen sides, but it's time to set the record straight - Bionic Six is a really good show. For the uninitiated, the show follows Jack Bennett and his family, all augmented with bionics, as they protect the globe from threats, mainly from Dr Scarab and his henchmen. Each of the 6 family members has a different Bionic skill set, but all their bionics do grant them enhanced speed and strength. Looking at the picture above, from left to right, is Bunji/Karate-1, whose bionics have him lightning quick reflexes and the highest agility in his family. He was adopted into the Bennett family. Next is James/IQ (the only member of the family whose codename isn't something-1). He's also adopted, obviously, and is the smartest and strongest of the family. Third, we have the patriarch of the family, Jack, also called Bionic-1. His enhancements are based on his senses with telescopic and x-ray vision and enhanced hearing. His Bionic eyes are also capable of shooting energy blasts and can disrupt electronics. Fourth is Meg, Rock-1, and Jack's biological daughter. Her abilities give her superhuman speed, and she can shoot Sonic beans from blasters installed in her shoulders. Sport-1 is next. Megatron biological brother, Eric has magnetic implants in his arms that allow him to attract or repel metal objects. 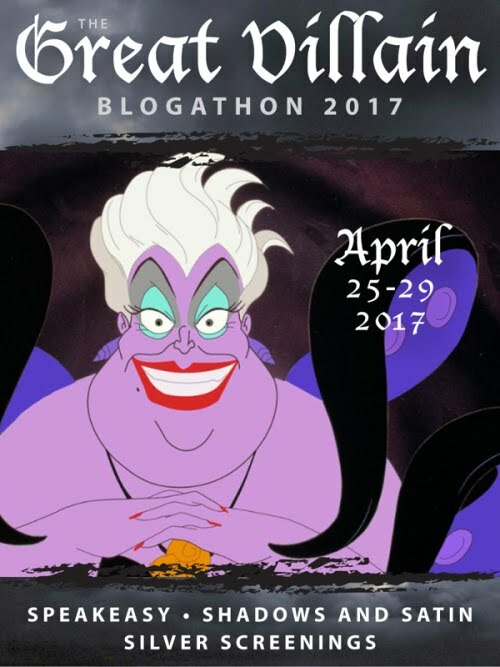 Lastly, we have Helen Bennett, Jack's wife and Meg's and Eric's biological mother, also known as Mother-1. Her bionics are all mental, giving her telepathy, telekinesis, and ESP, seeing her to see glimpses of the future. Together, they are there "super future family" with the help of Dr. Amadeus Sharp, the creator of the bionics that power the Bennetts. 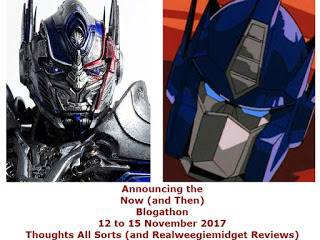 I've already covered their villain, Dr. Scarab, in my villain retrospect series, and his minions aren't really worth going over. They all have their own Bionic powers, but they're not as specialized or interesting as the Bennetts'. Glove is your typical Starscream, wanting to overthrow Scarab, and the rest are just big dumb oafs. Lastly, there is F.L.U.F.F.I., the Bennetts' robotic gorilla housekeeper. Honestly, he's the only part of the show I really dislike, as he's just there for kid appeal and comic relief. Anything he can do to help the Bennetts, they could do on their own. With that out of the way, I'll say I really enjoy this show and I'm sad I never caught this as a kid. The different powers that each of the Bennetts have are awesome, and they have some real interesting uses for them. For instance, Sport-1 uses his magnetic powers to use a steel girder as a baseball bat and knock an asteroid away from a city. The relationships between the characters are good, like Dr. Scarab being Dr. Sharp's brother and Bunji's disappearing father. I'll even admit the theme song is catchy as hell. It's currently stuck in my head and I doubt it'll go away any time soon.